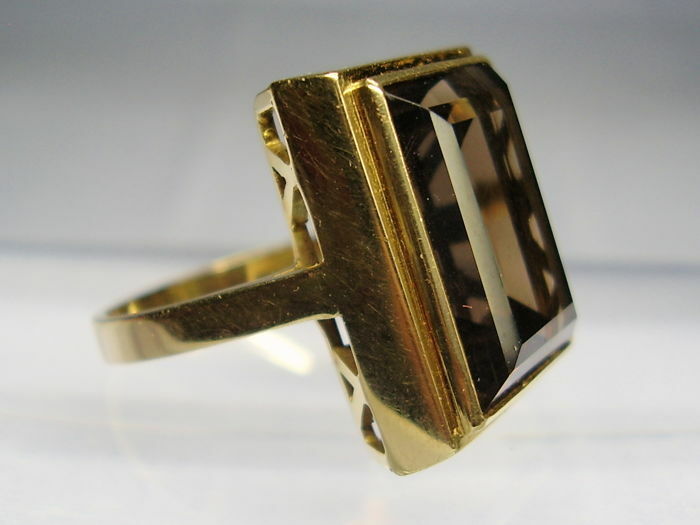 This Art Deco ring is made of 585 = 14 kt yellow gold and hallmarked accordingly. 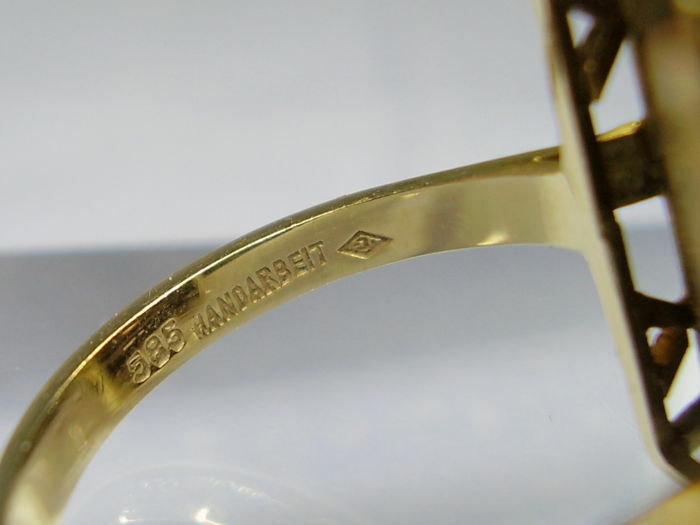 Moreover, it is marked with "handmade". 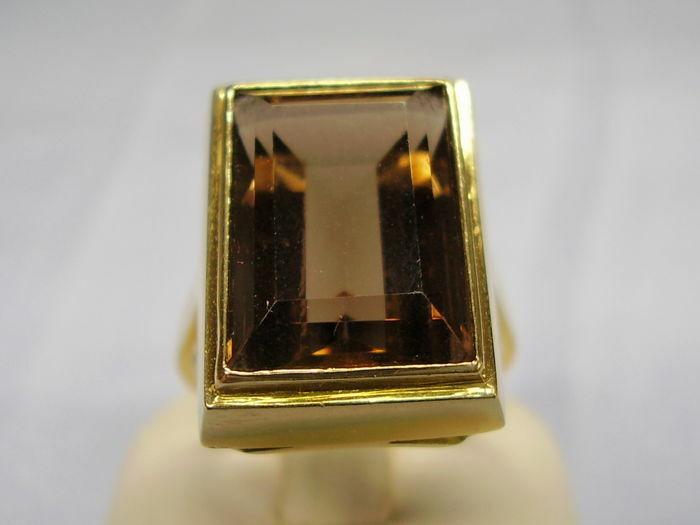 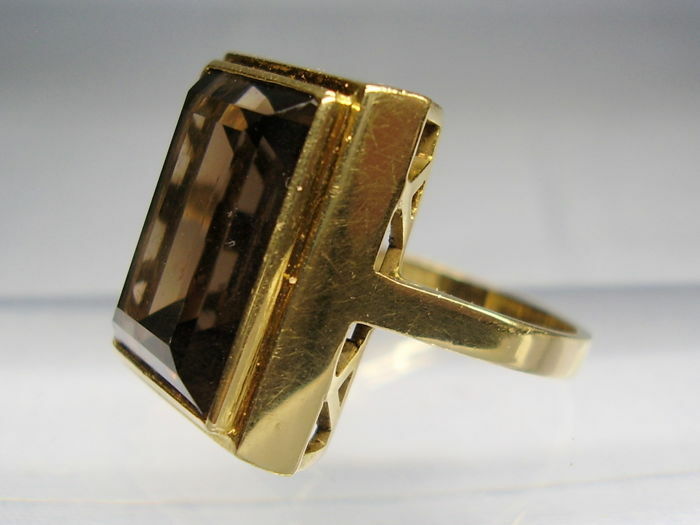 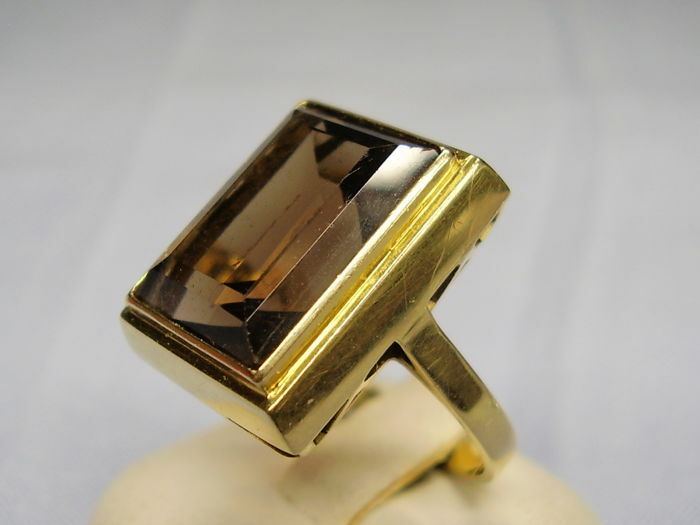 It has a rectangular ring head that is set with a rectangular faceted, brown, natural topaz in scissor cut. 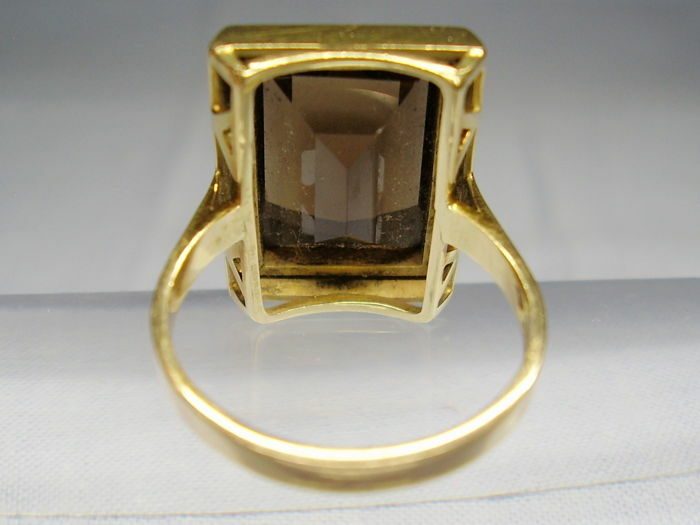 It is held by a bezel setting and surrounded by a stepped box mount. 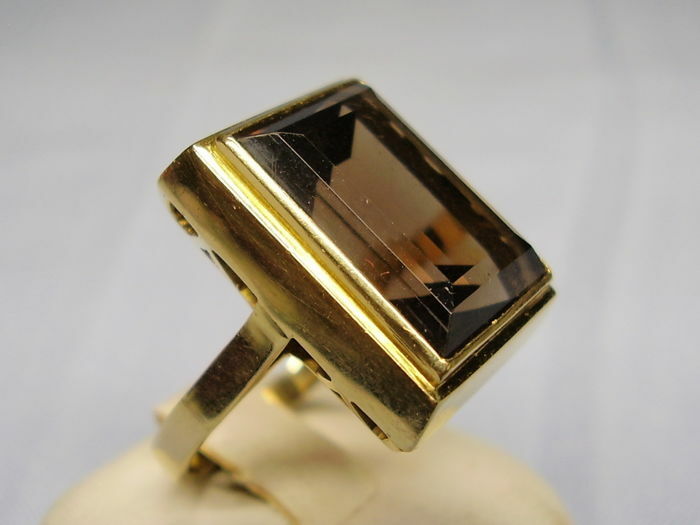 Solid, first-rate handmade item in very good condition.